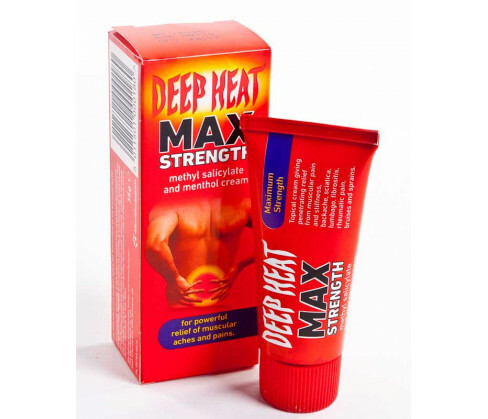 Deep Heat Maximum Strength is an intensive therapy formulation that penetrates deep within the skin to provide fast and soothing relief in lumbago, sciatica, rheumatic pain and fibrositis. It is a non greasy formulation that is absorbed quickly by the skin and provides long-lasting relief in the above conditions. Always read the product manual thoroughly in order to understand the right way of using this cream. Do not use if you are sensitive to any of the active or inactive ingredients. The formulation is not for use in children below the age of five years. Always wash hands thoroughly after use (unless the hands are the intended area of application). Consult your physician before using if you are pregnant or lactating. The cream is for external use only and should be applied topically. Adults, the elderly and children above the age of five years should apply sufficient quantity of the cream on the affected area for three to four times in a day or as directed by the physician. For best results, always massage gently and thoroughly till the entire amount has been absorbed completely. Avoid contact with your eyes and other sensitive regions such as the mouth, lips or genital areas. 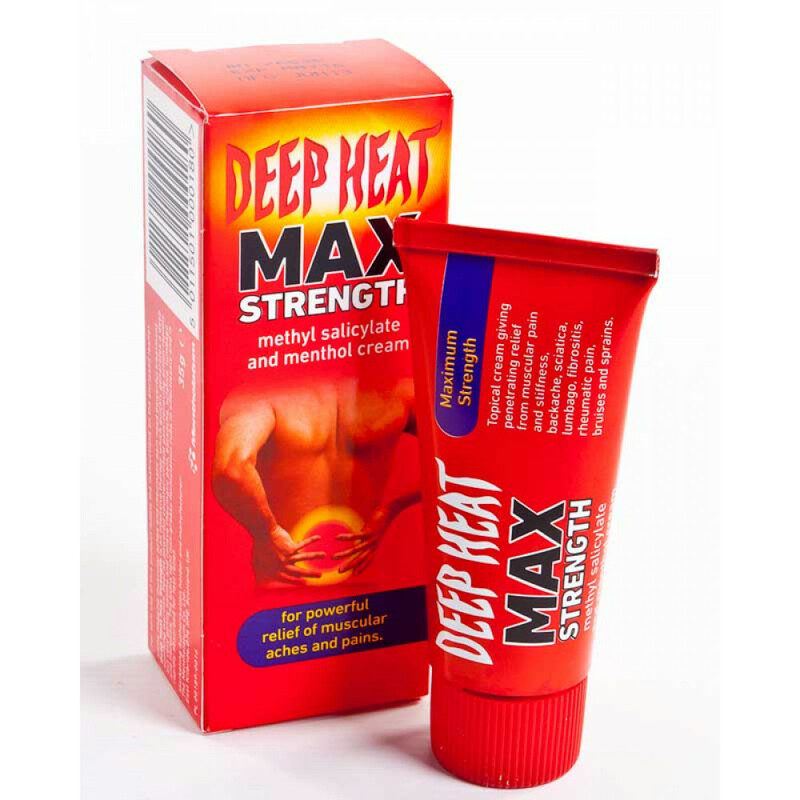 The active ingredients in Deep Heat Maximum Strength is Menthol 8.00% w/w and Methyl salicylate BP 30.00% w/w. It also contains as inactive ingredients Dowicil 200, Pluronic F127, Lexemul AS, Polyoxyethylene hexa decyl ether and Sorbitan monostearate.